Groundbreaking work by Dr. Simon Sherry’s research team shows perfectionists are more likely to develop bulimic symptoms. 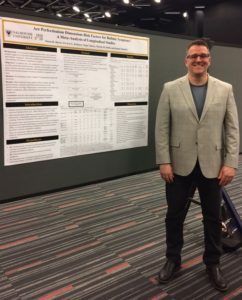 Dr. Simon Sherry presented these new findings at the 2018 International Congress of Applied Psychology in Montreal. Click here to learn more about this research.